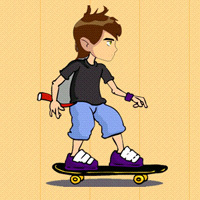 Ben 10 loves roller skating. He can do various stunts with the roller skating. Now he will jump hurdles!